We’ve noticed that a lot of you are asking similar questions, and so that we answer all of them in one easy way, we decided to put together a post answering them all! Please find the most commonly asked questions below, but if you have any that aren’t covered here, please let us know. Will Spintires: MudRunner have multi-USB support, for wheels, pedals and gearsticks? Will you support multiplayer saves? Yes, Spintires: MudRunner will have multiplayer saves. At this time, we don’t plan to support cross-platform play. 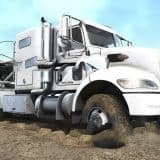 Muddy terrain, rivers, and other obstacles all realistically react to the weight and movement of your vehicle, thanks to the game’s advanced physics engine. “Real-time mud” is the term we came up with to summarize all this! Yes, we have a separate ModConverter tool, and we plan to have this tool available at release. Will we include PC mod support at release? Will you be able to change time of day? Will we fix the camera auto zoom? Yes, we know that a lot of players are asking this, and it is something we’ll be fixing for release. Will Spintires: MudRunner have VR support? No, Spintires: MudRunner will not have VR support at release. Due to technical constraints of the game engine, we don’t have the ability to implement multiplayer light, sound and mud sync at this time. Will the be first-person driver view? We’re currently evaluating all the options regarding camera views in Spintires: MudRunner. More information coming soon. Is this a re-release of Spintires? Spintires: MudRunner is the ultimate version of Spintires. Developed not only for PC but also for the first time for PS4 and Xbox One. It’s a huge upgrade over its predecessor, as this edition comes complete with “a brand new Sandbox Map joining the original game’s 5 environments, a total graphical overhaul, a new Challenge mode with 9 new dedicated maps, 13 new vehicles and other comprehensive improvements.” Original Spintires players on Steam will get 50% off MudRunner as a loyalty discount. More info and details coming very soon – follow us to make sure you don’t miss any info. No, we don’t have one planned at the moment. Can you clarify the involvement of Pavel in Spintires: MudRunner? Pavel Zagrebelny, the creator of the original Spintires, is back at Saber Interactive as vision holder and lead developer on Spintires: MudRunner, and therefore, is fully involved in the project. Focus Home (we) will be the ones publishing it, so we’ll be releasing it, handling future updates (along with the dev team) and distributing it, too. Will this game also be abandoned? No. We at Focus Home Interactive have always supported our games, during and after release. 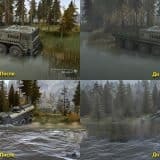 We strongly believe in Spintires: MudRunner, and our objective is to produce a great game, which we intend to continue supporting with updates to enrich the game’s experience even after release. We always pay great attention to community feedback, and both we and Saber will make sure that MudRunner receives attention and improvements after Day One. The recommended settings for Spintires: MudRunner should be very similar to the original game, but may change as we get closer to release. We don’t plan on having Linux support at release, no. Will there be Mac support? We don’t plan on there being mod support on consoles at the time of release, currently. No. This means that you won’t be able to add decals, change vehicle colours, or add rim spinners. Rest assured that you will be able to modify vehicles with log bays, trailers, and other modifications as you could in the original Spintires. What framerate will Spintires: MudRunner run at? Will there be a retail release or only digital? This will depend on the territory. More information will be coming soon on the official website. We’re in discussions to bring PS4 Pro and Xbox One X features to the game after release, but we have nothing to confirm yet. 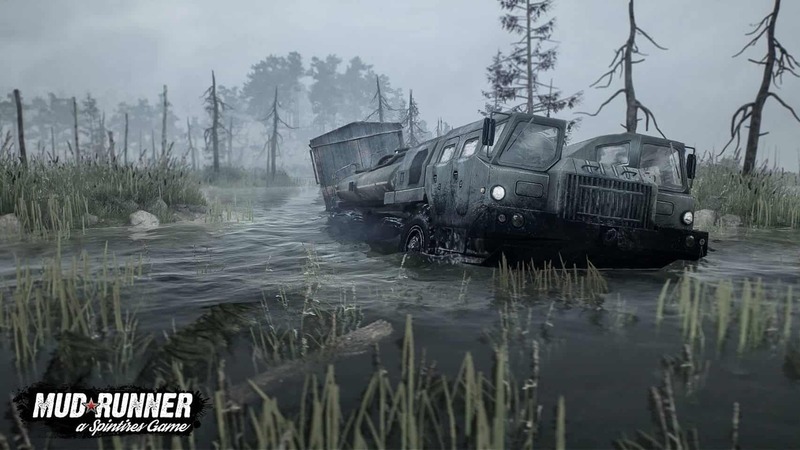 At release, Spintires: MudRunner will be playable in 8 languages – English, French, German, Italian, Spanish (Spain), Portuguese (Brazil), Russian and Polish. No, Spintires: MudRunner will not have VR support at release! Is there any plan to bring it on later versions for Oculus / HTC / or any other VR Systems…?????? Is there any plans on making payed expansions in the future after release? I m thinking different trucks like toyotas , jeeps and other classics. PS Thanks for making this for console cause I m a huge fan that never got to play because I don t have a PC. Also I m going to pre order so you can count mein ill be trying. to get my friends into it too. Using mods you can have any truck you like. Just download mod you like from our website and add it to your game. Why is there no cross platform ? We want mods on the console ASAP! Please, support mods on the console! 🙂 or maybe release car packs if not possible? 4K and HDR woukdnbe great too! I’m hoping for Linux support eventually. How do I get the mods from where I download then on the pc to the Xbox console???? You apparently cannot do that yet. Support for mods on PS4 and XBOX has not yet been added.